Co-op is the latest high street multiple to take action to stop selling single kitchen knives. The supermarket chain took the decision to remove knives last month, so no Co-op stores now sell single knives. The retailer does not sell knife packs but does sell cutlery in selected stores, along with electric knives in electrical sections. 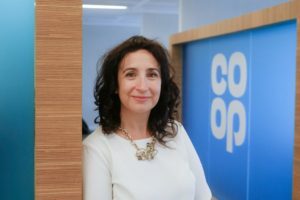 Jo Whitfield, ceo of Co-op Food, said: “Violence and crime damages the fabric of our society and as a responsible retailer, which is focussed on helping to protect colleagues and make our communities safer, we felt it was the right thing to do to remove from sale single knives. Asda announced in March that it will remove single kitchen knives from sale in all its stores by the end of this month and last September, Poundland said it would completely remove kitchen knives from all of its 755 stores by the end of October 2018 – and called on fellow retailers to follow its lead.